We are just one congregation, connected to many others by a common mission. Here are some links to groups and agencies and programs with which we have strong relationships, and a brief description of what they do. Click on the headings to go to their respective websites. MENNONITE CHURCH USA. MCUSA is our denomination, and is a diverse collection of Mennonite congregations, conferences, and program agencies, engaged in God's mission in a variety of ways across the United States. MENNONITE MISSION NETWORK. This is an agency that sends mission and service workers all around the world, and provides resources to congregations for their own missional activities. MENNOMEDIA. MennoMedia is responsible for producing all kinds of media for the public and the church, including books, magazines, video, broadcast media, online resources, and more. EVERENCE. This is our denomination's official stewardship education agency. It is also a Mennonite-affiliated financial services agency providing a wide range of financial services to Anabaptist-related groups and individuals. MENNONITE EDUCATION AGENCY. This agency helps coordinate the work of Mennonite educational institutions, from elementary and high school, to colleges, universities, and seminaries. Our nearby schools are Eastern Mennonite School (K-12) and Eastern Mennonite University and Eastern Mennonite Seminary. MENNONITE HEALTH SERVICES ALLIANCE. 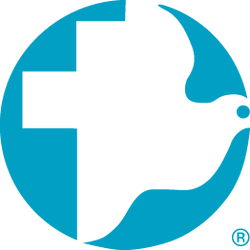 This agency provides resources and connections to Mennonite-affiliate hospitals, retirement communities, and other institutions, as well as individual healthcare professionals. 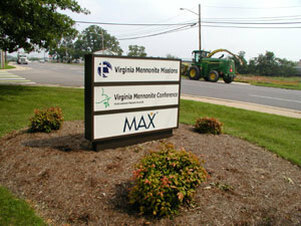 Our local institution is Virginia Mennonite Retirement Community. 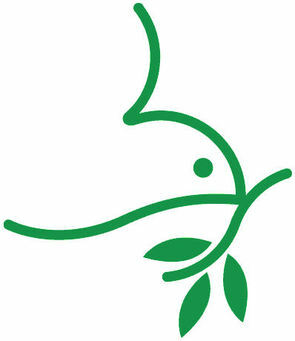 PEACE AND JUSTICE SUPPORT NETWORK. The mission of PJSN is to proclaim and promote God's desire for justice (Micah 6:8), Christ's call to peacemaking (Matthew 5:9), and the Spirit's reconciling work (Ephesians 2:11-22). THE MENNONITE. A monthly magazine designed to serve congregations and individuals of Mennonite Church USA. Also includes an online edition, and emailed updates. VIRGINIA MENNONITE CONFERENCE. Virginia Conference consists of Mennonite congregations throughout the states of Virginia, West Virginia, North Carolina, Tennessee, Kentucky, and the District of Columbia. The offices provide various supportive services, and help connect these congregations to each other. VIRGINIA MENNONITE MISSIONS. VMM is our conference mission agency, which sends out short-term and long-term workers in various parts of the world, and supports new church plants, and provides support and resources to existing congregations for missional engagement. Family Life Resource Center Christian counseling for hope, health & healing. Gift & Thrift, Inc. A World of Good Thrift Shop, Artisans’ Hope Fairly Traded Handicrafts, and Booksavers of Virginia are committed to resale and recycling to support Mennonite Central Committee in achieving its mission. Highland Retreat. A year round Christian retreat center developed to provide a place where people meet Jesus Christ and explore His creation. Mennonite Hispanic Initiative. Supports church planting, theological education, and leadership development in the local Hispanic community. Mennonite Women of Virginia Conference. Empowered women creatively building Christ-centered relationships through fellowship, leadership, mission and service. NewBridges Immigrant Resource Center. Connects immigrants in the Shenandoah Valley with resources for their spiritual, social and economic needs. Provides resources for building a compassionate, just, and culturally diverse community. Pleasant View, Inc. Programs supporting individuals with developmental disabilities. Roberta Webb Child Care Center. Quality child care in a safe and nurturing environment. Valley Brethren-Mennonite Heritage Center (CrossRoads). Sharing and celebrating the story of Jesus Christ as it has been reflected in the lives of the Mennonites and Brethren in the Shenandoah Valley. Virginia Mennonite Relief Sale. Held annually on the first Saturday in October at the Rockingham County Fairgrounds to raise money for Mennonite Central Committee. MENNONITE CENTRAL COMMITTEE is a relief, service, community development and peace agency, working on behalf of Mennonite and Anabaptist churches worldwide. MENNONITE WORLD REVIEW is an independent ministry of Christian journalism serving Mennonites and the global Anabaptist movement, with a bi-weekly newspaper, with an online version. MENNONITE WORLD CONFERENCE is a relief, service, community development and peace agency, working on behalf of Mennonite and Anabaptist churches worldwide. MENNONITE DISASTER SERVICE coordinates volunteers from Anabaptist churches for disaster response.